Steve saw Mom at her computer with her credit card out. “What are you doing?” he asked. Mom had a sad look on her face. “I’m making a donation to a charity that’s helping the Christians who are being persecuted by ISIS,” she said. Steve looked at the email Mom had received; the sender had a Gmail account and the poorly written appeal for money linked out to a CNN news report on YouTube. “Mom, this is a scam,” said Steve. “But I want to help!” said Mom. This year, Americans have given millions to those affected by the terrible flooding in Louisiana, fires in California, earthquakes in Ecuador, the shootings in Orlando, and the plight of refugees in war-torn countries. When we hear about a natural disaster or humanitarian crisis, Americans can be very generous in their efforts to help, responding quickly by opening our hearts—and our wallets. 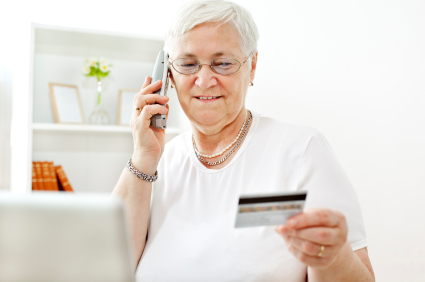 But the U.S. Department of Justice (DOJ) and the Federal Bureau of Investigation (FBI) warn that generous people—many of them seniors—may be victimized by crooks who take advantage of their good intentions to bilk them out of money that goes not to those who need it, but right into the scammers’ pockets. These crooks might impersonate a real aid agency, or create a bogus organization. The might call you on the phone, come to the door, or send an appeal letter. Today they’re more likely to approach victims by email, or to spread an appeal for money via Facebook. They create a sense of urgency that can trick us into letting our guard down. Rather than following a purported link to a website, verify the existence and legitimacy of nonprofit organizations by using Internet-based resources. Suspected fraudulent activity can be reported to the NCDF hotline at 866-720-5721; report internet fraud to the FBI’s Internet Crime Complain Center (www.ic3.gov). Steve went over the above points with his mom, and helped her use the Federal Trade Commission’s Charity Checklist to find reputable organizations to which she might donate—while also encouraging her to budget carefully before making charitable donations of any kind.